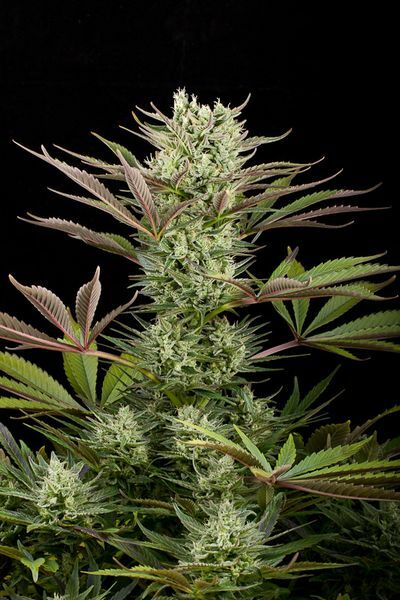 Deep Cheese cannabis seeds by Dinafem Seeds belong to a Sativa/Indica, feminized cannabis strain that originates from the backcross of our Cheese. The result is a hybrid that has the same sensory properties as Cheese but intensified. Deep Cheese was created to provide the lovers of this strain with an improved version. Deep Cheese cannabis seed produces a wonderful, high-yielding, easy-to-grow, medium-sized/big marijuana plant that flowers fast and yields large, dense buds covered in resin with the delicious, fresh, deep scent that is so characteristic of this strain. Deep Cheese grows well and without complication indoors, particularly with SOG and SCROG, although you will have to monitor its size. Outdoors it performs very well in temperate, Mediterranean climates and in the greenhouse. It is advisable to feed it a balanced diet and to use anti-odour filters at the end of flowering.